bachpan ke carefree days. But that didn’t help either. Pyaar pe mar-mitne ki aur jab tak hai jaan kutton ke saamne naachne ki kasam khaayi. Lekin pyaar par kisi ki nazar lag gayi aur dil toot gaya. utne mein kisi se nain mili aur phir se jeene ki tamanna jaag uthi. Zara zara karke paas aaye woh, lekin samajh nahin aaya ke yeh wohi hai jinse nain mili thi ya koi aur hai. Phir raat ho gayi, ekdum fullmoon wali, in fact bluemoon wali. Now to the points scored. thandi hawayein has been the most cited song in the song lists of this blog. It was mentioned in the Of Winds and Breezes, In Remembrance Nalini Jaywant, and Inspire. I didn’t include mere saajan hai us paar, which was also mentioned thrice, but one of the posts, where it was mentioned was dedicated to Bandini songs, thus it had an undue advantage over the others songs. Thirteen other songs cropped up twice on the lists of this blog. Among them were popular songs like abhi na jao chhodkar, akela hoon main, ek hi khwab, mere saajan hain us paar and o maajhi re apna kinara. The film with the highest number of songs in this blog is Sujata. Four of its total seven songs were mentioned. Jalte hain jiske liye in Hello, sun mere bandhu re in S. D. Burman special, nanhi kali sone chali in My ten favourite Hindi film loris (lullabies) and Merry X’mas, and kali ghata chaaye mora in Happy Birthday Nutan. Twenty other films featured on the blog-lists with 3 songs each. Bandini had a special post dedicated to its songs, thus it won’t be considered for this list. Among the runner-ups were Aakhri Dao, Kala Pani, Kala Bazar, Dil Ek Mandir, Miss Mary and Kinara. I would have thought, that the songs from the 50s would be the ones, which are mentioned on this blog, but it turns out that this honour goes to the year 1963. As many as 27 films from this year featured in the lists of this blog. Runner-ups were 1966, 1960 and 1957. I took the above song, because till now the film Tajmahal has never found a mention in the lists. And also because I adore this song. It surely doesn’t come as a surprise that my favourite composer R. D. Burman’s songs were featured more often in the lists than any other composer with 51 songs. His father S. D. Burman is close on his heels with 48. If you include the special posts then it would be 61 and 53 songs respectively. The runner-ups were Shankar-Jaikishan (36), Madan Mohan (25) and Laxmikant-Pyarelal (24). The lyricist with the longest career in the Hindi film industry is also the winner on this blog. 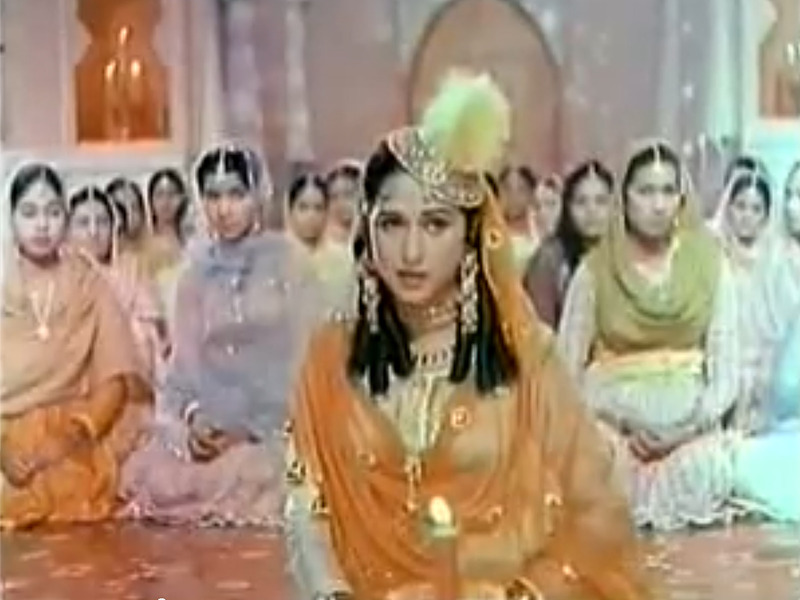 As many as 69 songs penned by Majrooh Sultanpuri appeared on the lists of this blog. If I am not mistaken Shahjehan was his debut film. Thus this song of his features here. Runner ups were: Shailendra, Anand Bakshi and Rajendra Krishan. 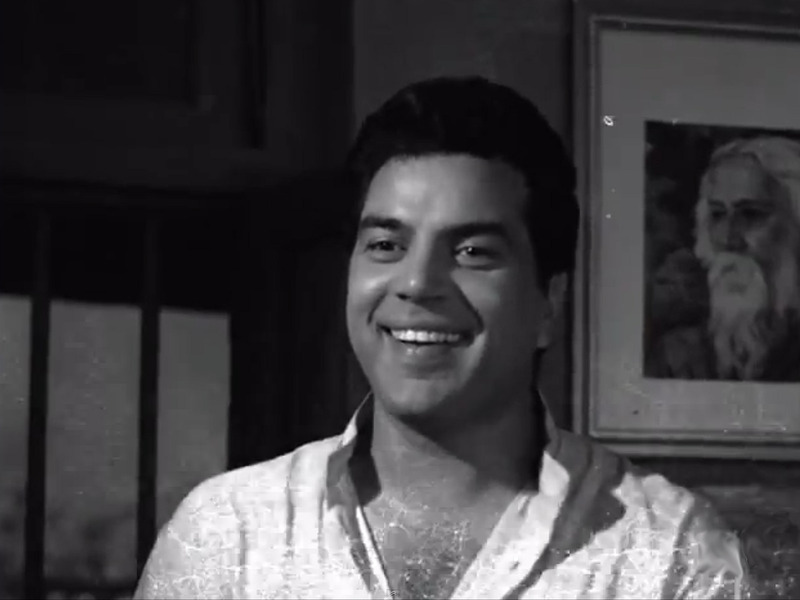 Shailendra featured on this blog with 45 songs and the latter two with 44 each. 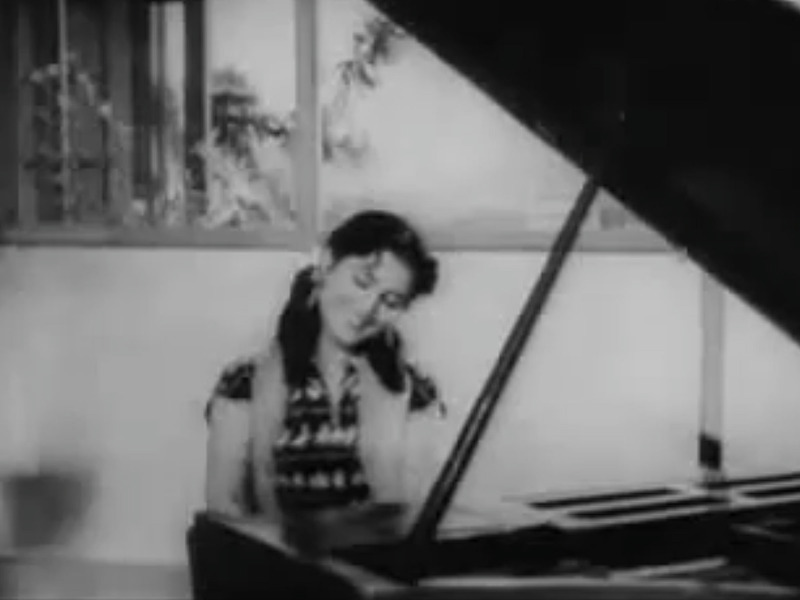 It won’t come as a surprise that Lata Mangeshkar sang most of the female-sung solo songs on this blog. She featured in as many as 123 songs, that is more than double the songs of her nearest rival Asha Bhosle, who featured only in fifty songs; sixty if you take her special post with Madan Mohan into consideration. Lata sounds in this late 40s song very different than we would get used to. Equally unsurprising is the male-singer with the highest number of songs, given that the most songs on this blog are from the 50s and 60s. It is none other than Mohammad Rafi. This song is surely one of my favourite songs sung by him. 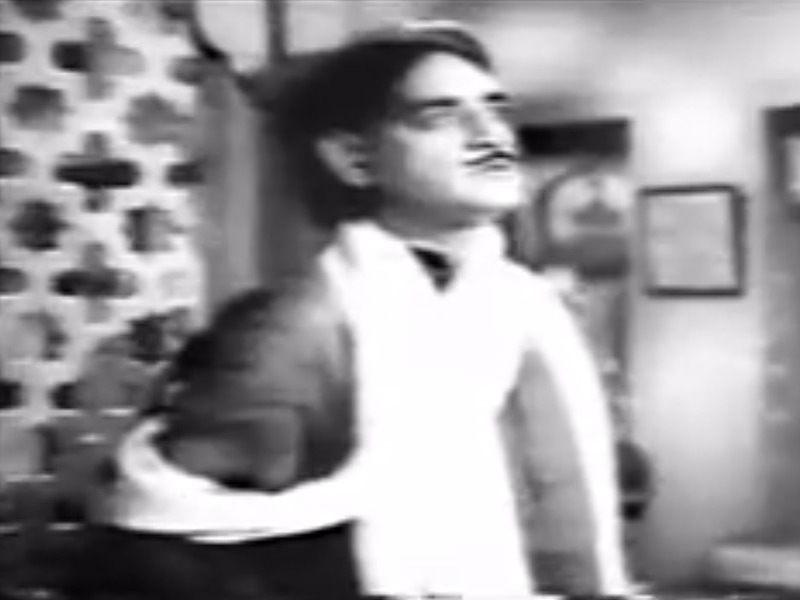 His rival is Kishore Kumar, who featured on this blog with 21 songs. Mukesh, Manna Dey and Hemant Kumar got the 3rd, 4th and 5th place respectively. 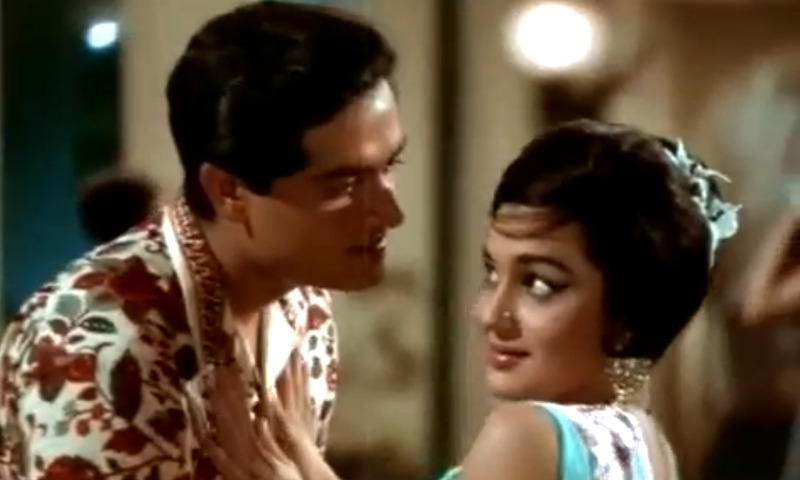 The couple with highest duets on this blog is Asha-Rafi with 14 songs. You might wonder why I chose this song over many others. Firstly because I like it a lot, particularly the highly unusual staccato rhythm of the song. 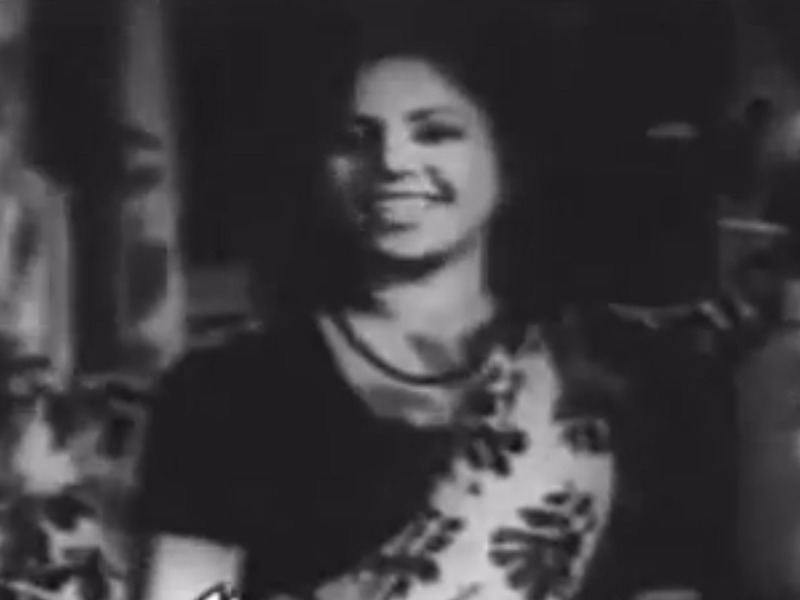 Secondly because it is not so well-known like the other songs from Teesri Manzil. 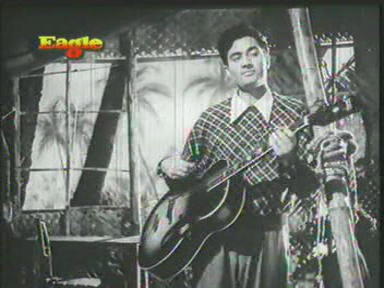 Dev Anand’s films usually had great music. If they were from his production house, they usually had music from the Burman stable. And the Burmans were always my favourites. I would count Jaidev in it too. So it comes as no surprise (to me at least), that Dev Anand leads the list of leading actors, whose songs feature on this blog, with 13 songs (23 if you take his obituary-post into consideration). 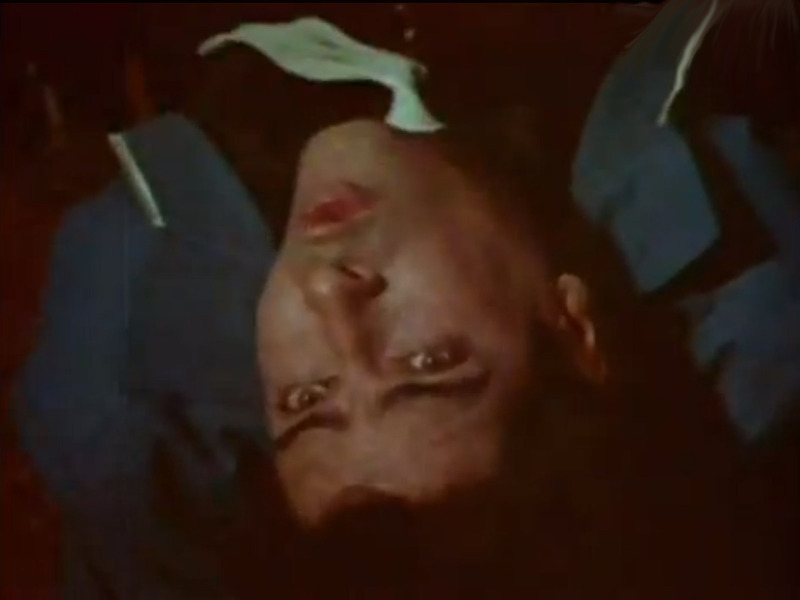 He is closely followed by Dharmendra with nine, Kishore Kumar with eight and Shammi Kapoor with seven songs. 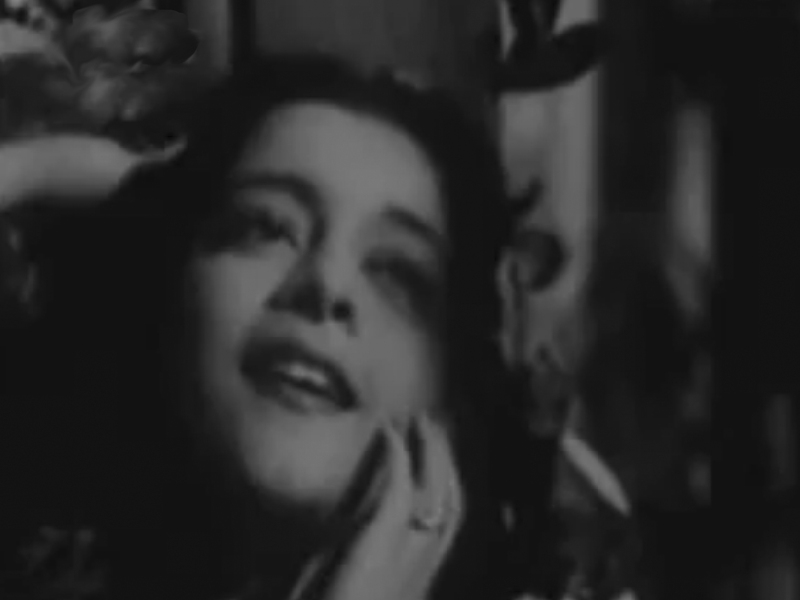 I would never have thought that Meena Kumari would be the actress with most song on this blog. She features in 25 songs (15 if you leave out the post dedicated to her). 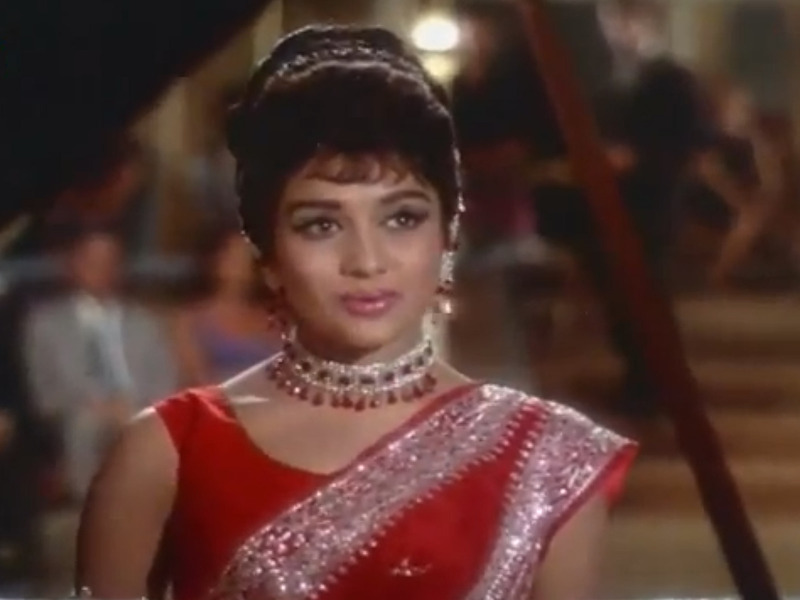 Asha Parekh comes close second with 12 songs, Nargis (!) with 8, Madhubala and Nalini Jaywant with 7 each. All the songs mentioned in this list, except for thandi hawayein never featured in any of the lists on this blog. In fact no song from the films above came up in any list here. The blog is only three years old, thus it is not that such a statistic list would have been necessary. The reason for this retrospect is a different one. The blog is going to take a break. You must have seen that the regularity of the posts on this blog could often be kept up only with the help of guest posts, thanks to Pacifist and Arunkumar Deshmukh. The work-load at the job-front meanwhile has not decreased but rather increased. Furthermore, I have still some projects in my life, which have remained unfinished. I have to fight on many fronts simultaneously. Thus I thought taking a break from the blog would be the wisest thing to do. I think it is surely one of the saddest decisions I ever had to take. I will miss making the lists. I will miss doing the research for it. I will miss thinking up topics for the list. More than all this, I will miss your love and comments. Thank you for your love and sympathy! Thank you for your comments and contributions! Thank you for your encouragement! Thank you for the loyal following! Your love and encouragement kept me and this blog going for all these years and which will also make it reappear. And that will be after the Break! Oye where is my pehli chidiya award? Itni mehnat kari, office me itna kaam kiya. This was a huge fun post. I loved your quiz and the answers as well. This is the first time I participated in a quiz, and am so sorry that you are already on a break. Beta, 3 saal to koi umr nahi hui retire hone ki. Jaldi wapis aao. I am glad that you liked the quiz! You did participate in the last quiz, didn’t you? It is not a retirement Ava, it just a sabbatical! She’s got imagination, that girl, doesn’t she? Congratulations to Lalitha and Pacifist for getting the max points. And congrats to all actually for participating in this quiz. It was a lot of fun – certainly not all that easy. Which is a good thing. Although I haven’t been following your blog from day one, I have enjoyed reading your posts everytime. They’ve always been informative, packed with humour, and very lovingly compiled (one can feel the love coming through). But I can also understand if other priorities now come in the way of your being able to continue to spend time on the blog – it happens. A BIG thank you for all the posts so far. And the very best wishes of course for all the other projects that you want to do now in your life. You are completely right Raja, what was I thinking that people would be following my quiz and keeping track of each and every song I include in my lists? That was indeed a flop action! You surely have been a loyal follower of the blog, Raja. I remember your first comment still. I remember it because I’d forgotten to approve it and it lay in my pending box for days! Sorry for that! Thanks for the wishes Raja. Will be needing them! Thank you! Yes she does deserve some points for that fabulous pattern. You are being too modest Atul! You were just being considerate, I think! Thanks to your blog, I could always link the lyrics to your posts. 7 was a bit difficult, that’s true! The clues were not so direct like in others. You’ll get it right the next time! I totally missed #1 and 10. 😛 . No. 10 is not that popular and well-known, so it was a bit difficult. That’s true! Hope to be back soon, coolone! Thanks, Harvey, for going through all the replies and compiling the answers. But you are taking a break? Ab to mera dil toot hi gaya ab jeeke kya karenge? I will miss all your funny posts, like the aanewala phal, jaanewala phal, the blind women, and men who were not afraid to be women. I will also miss all the write-ups you gave for the songs in your unique style. All I can say is that I am hoping this break will give you the time to finish up whatever is going on (and give us a chance to celebrate when it is over!) quickly so that you can return to blogging. I will happily give you all the medu vadas and sambar and dosas and filter kaapi you want, just so you can come back soon. Until then, take care. See all your bhajans and kirtans are being rewarded! Break is necessary at this point, Lalitha! I will miss all the blog activity too, par majboori hain. tumhare munh me swiss chocolates! Thanks for the wishes, dear Lalitha! It has been great fun with you! Lalitha, I want filter kaapi too! Harvey! This is a shock. Ab when I feel the need for some smiles main kahan jaaoon? 😦 Theek hain, you have other things to do; I know what that feels like. I’m only helped by my insomnia, otherwise my blog would have been cast aside like a mouldy shoe. Anyway, the quiz was fun, even though, as I said, it was with fevered brow that I tried to solve all your clues. I second Lalitha’s offer – I’ll throw in payasam and puttu kadalai and all sorts of Mallu food – you should make a trip to the US in the summer. Wish you all the best in everything that you do. Milte hain, isi jagah, break ke baad. You make me feel as if I’m going in a monastery and never ever come out. I am just taking a break form my blog but not from blogosphere in general so you will see me on your blog or Madhu’s. A pity, I wasn’t there to see it! Now what is puttu kadalai. Will have to look it up in Internet. Summer is poora kaam for me this year and the years to come. Winter me raahath. But of course you have your priorities, and those should come first. Will miss the lists terribly, though. It was fun and am looking forward to the blog coming back. Sunehriyaadein had me giggling. How special that was. ….and all those who took part. Thank you Harvey for putting all that work into this quiz – couldn’t have been easy at all. So long, farewell, auf wiedersehn, Goodbye Harvey’s blog with emphasis on wiedersehn. Eating this Kit-Kat will take bit longer. Thanks for your understanding! But as I said to Anu, we will surely meet in the blogosphere somewhere. After the break, I hope to come with more lists. I have got so many ideas. Can’t jsut hoard them and sit them on like a mother hen. Sunehri is great, isn’t it? She should renew her blog! Dear Pacifist, auf ein Wiedersehen auf dieser Seite, hoffentlich bald! Thank you for the song, Harvey. Bahut pyara gaana hai. But now it sounds like a longer break than I wanted to believe. Taking a break or breaking our heart ? It was always and will be always a fun and pleasure to visit your blog and read ,get updated with info and show off writing a comment or two ! How long will it be ? Is there anything I can do in between the Gap ? You can always give me a call for help. I did not try the quiz for want of time (actually was scared to expose my Pital camouflaged as Sona so far!). dil todnewali baat mat kahihe! Blog zaroor restart hoga. Zara chotta so break hai bas. If I need anything I know where to turn to! Thank you Arunji for everything. WAS fun to have you here and see you soon! After reading Harvey’s news, I was in a different mood, and forgot to congratulate Pacifist on her score, and the fact that she had finished long before I did. Also, sunehri yaadein must be congratulated on her creative guess at the pattern in your choice of songs! And of course, Ava has to be congratulated for being the first one in with the answers. Anu claims to have just one brain cell, and with that she was just two points behind me. Thank God she has only one cell, for if she had any more, she would have left us all in the dust, far behind! That said, Harvey, no more false promises of Swiss chocolates from you! I am still waiting for the last one you promised. By the way, many congratulations to Lalitha and Pacifist. Well done, ladies! I’m also sad, Madhu! Really! I also hope dear Shilpi that the break is not TOO long! But of course wellw ill meet at your blog and other places! Thank you dear for all the wishes! Oh Yes, I forgot to congratulate the winners. Congratulations Lalitha and Pacifist! Even as I join in appreciating your decision to take a break …. I am sure you will not permit the work to keep you so much occupied that you may choose not have a shot some leisure , now and then ..
Ashok, you’ve a great sense of humour! I, of course, will take time for leisure. You know what they say about Jack and work! Thanks for your kind words! And no, it is not at all selfish to hope! I am quite sure you must have arrived at such a momentous decision after a considerable thought. I do wish that all that you have planned does happen the way you have anticipated. May I have your e-mail ID , so as to maintain contact w.r.t. this common interest that has initiated this. relationship. I would be privileged to keep on sharing with you anything that I find interesting in the world around, provided you may agree . That is very nice of you, Ashok! And in the shock of learning that Harvey was taking a break, I forgot all about congratulating Lalitha and pacifist for winning the quiz!! Sorry, ladies. 😦 Well done, indeed! 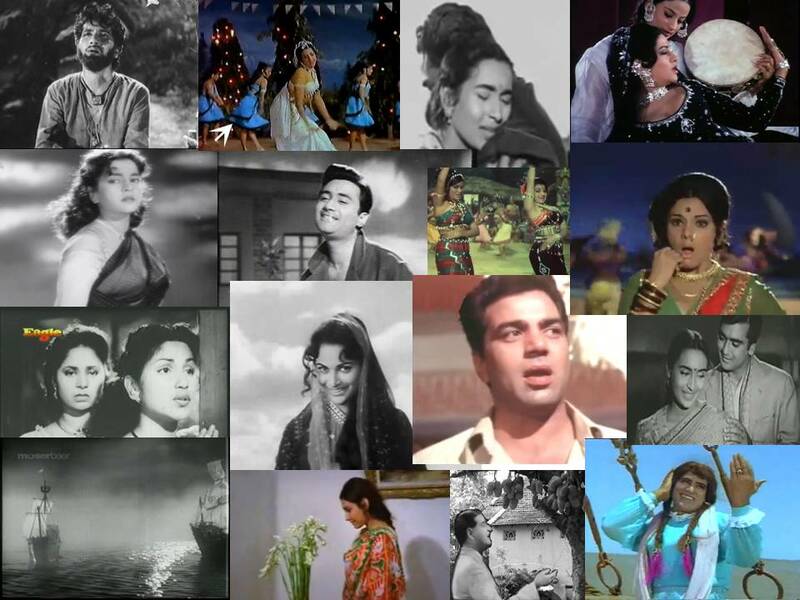 Pingback: Carnival of Blogs on Golden Era of Hindi Film Music – May 2013 | The world is too small? or Is it? Thank you very much. Right now my blog is hibernating, but hope I have time soon enough to wake it up. Harvey, let me also take the opportunity to say “goodbye” (and not farewell) – Did you say how long you would be gone? But anyway, as far as I’m concerned, the fact that your blog is not going is enough: I will still be able to move in and out and find some great stuff to read and listen to here! For example this morning, I must have spent a couple of hours on your Waheeda Rehman post of last year, which I hadn’t taken time to read… But that’s the best of a blog, isn’t it? So thanks! And enjoy the break! It’s a great blog that you are running… I haven’t seen a more diverse blog on Indian cinema. Just keep up the good work. Btw, I blog at “A Potpourri of Vestiges”. You are always welcome to contribute a guest post or two to my blog.